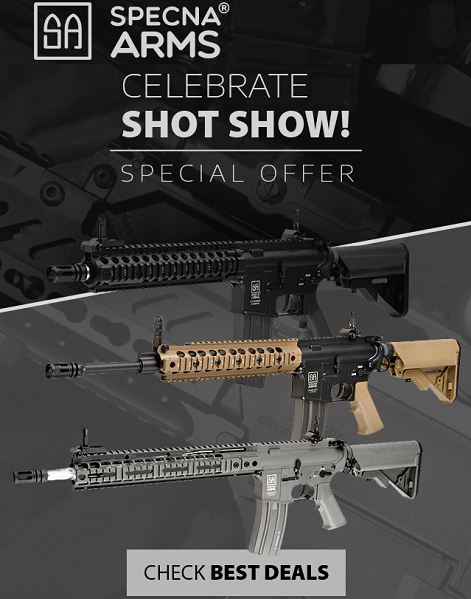 The SHOT Show is an important event for Specna Arms! On this occasion, we reduce the prices of selected Specna Arms replicas. Celebrate with us and check out the special offer! 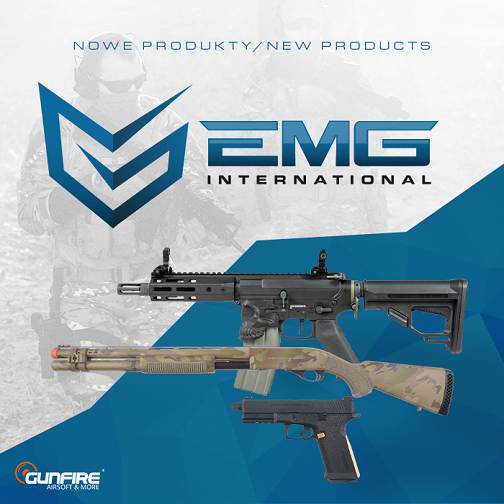 We’ve just added to our offer new EMG Arms replicas! 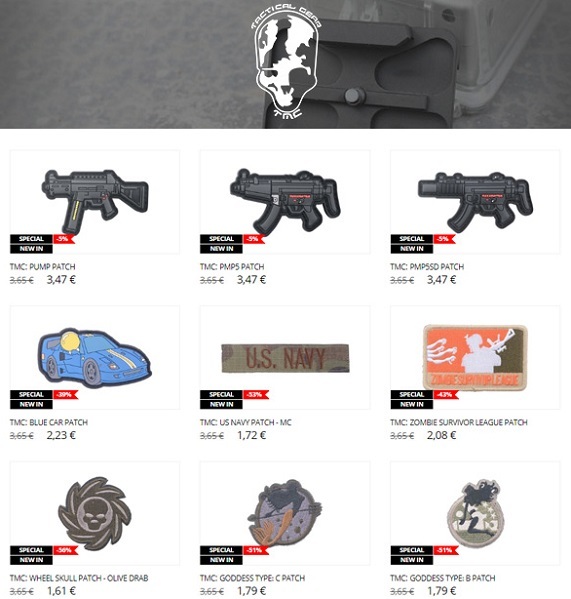 Among them, you will find amazing airsoft replicas of rifles and pistols packed with innovative technologies. Replicas from the EMG catalog were produced under the license of American firearms producers, such as Daniel Defense or Sharps Bros. 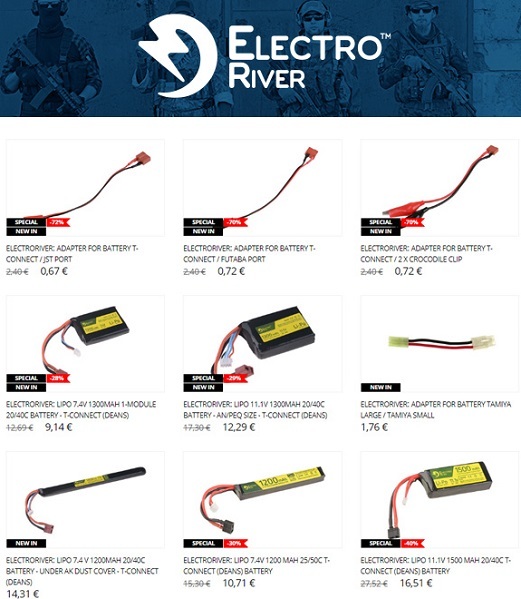 Check out the new LiPo batteries from Electro River! We have restocked our storehouse with useful accessories like chargers and 7.4V or 11.1V batteries available in different shapes. 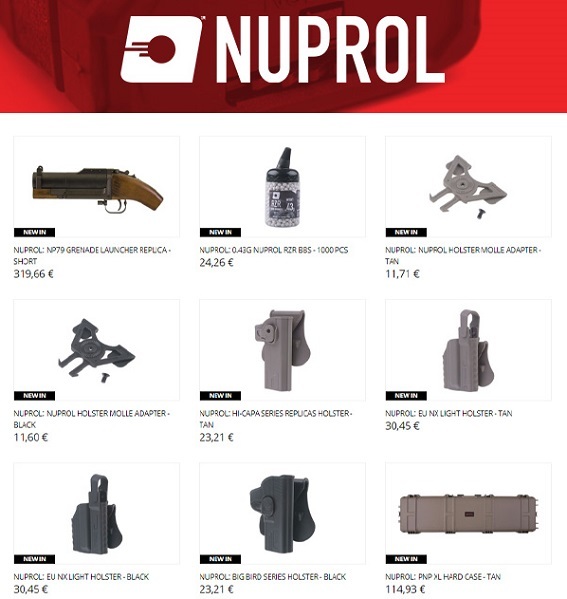 Don’t miss latest delivery from Nuprol! 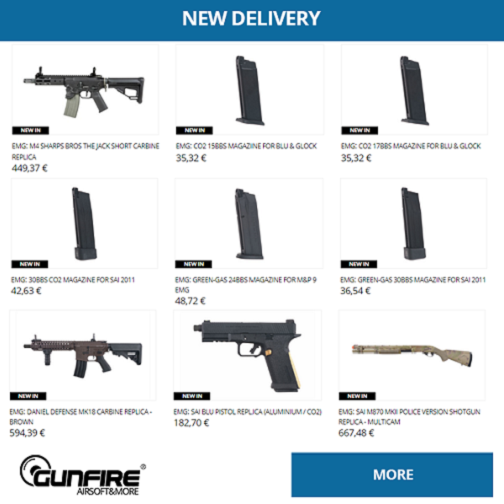 You will find in it wide range of replicas and airsoft accessories like Delta AEG replica, RZR BBS, BOCCA Rails, LiPo batteries, gun bags and more. We have received new delivery from TMC! Among over 100 products you will find high-quality tactical equipment, masks, uniforms and many useful accessories for GoPro sport action cameras.